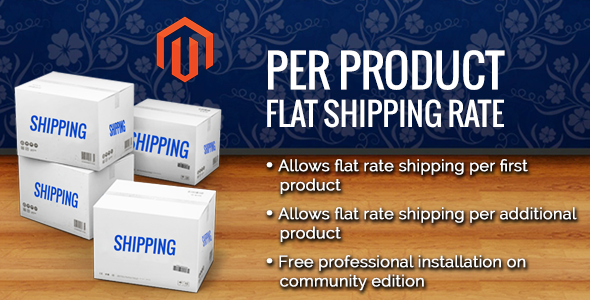 Per Product Flat Shipping Rate extension enables you to set flat rate per product and as well additional product. It allows you the flexibility to specify a flat rate shipping amount for each product individually. You can install extension by using Magento Connect, It allows you to install free as well paid Magento extensions. You can download extension zip from your order email, and follow the below instructions to install in to your Magento Store. First you need to log into the Magento administrator area, and then go to System > Magento Connect > Magento Connect Manager. Here, login using the same login as for your Magento administrator area. Once logged in you will see two tabs: Extensions and Settings. In Extension Tab you can see a browse button, by which you can upload the extension zip you downloaded from your order email. This entry was posted in Uncategorized and tagged database, feeds, flat per product shipping, flat rate shipping, flat shipping, flat shipping magento, forms, magento flat shipping, magento per product shipping, media, per product shipping, php, scripts, shipping, sliders by Acty. Bookmark the permalink.